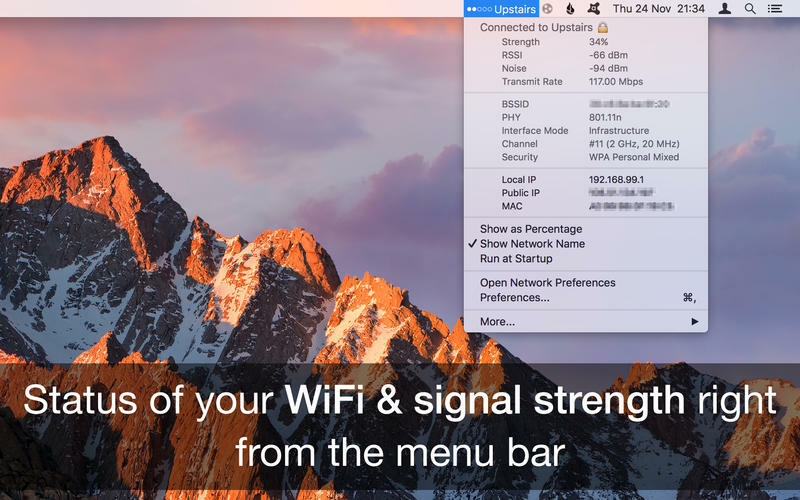 WiFi Wireless Signal Strength Explorer 1.3 – See wireless signal strength in the menu bar. Next story Video to GIF Maker 1.0.31 – Convert video to GIF. Previous story iGallery Pro 1.6.0 – View photos on, and upload photos to Instagram. PeakHour 3.0.5 – Visualize and analyze your network traffic. PeakHour 4.0.9 – Visualize and analyze your network traffic. PeakHour 4.0.2 – Visualize and analyze your network traffic.